The 2010 end of year report is live now and if haven’t checked it out yet, then get on it HERE. But with a new year dawning on us, what can we expect and hope for in 2011. There are already a multitude of potentially great albums scheduled for release in the coming months. Th e first “big” release of 2011 will be Times Of Grace’s The Hymn Of A Broken Man on January 18th. It’s the new project from Killswitch Engage guitarist Adam Dutkiewicz and former vocalist Jesse Leach. The prospect is an exciting one, especially for those that adored Alive Or Just Breathing. A video has just been released for the first track, ‘Strength In Numbers’. Watch it HERE. Drone lords Earth are returning in February with a brand new album Angels of Darkness, Demons Of Light I, in the wake of the recently released compilation A Beaurocratic Desire for Extra Capsular Extraction. It’ll be the follow up to 2008’s stunning The Bees Made Honey In The Lion’s Skull album. The new Deicide album will be a divisive. Predecessor Till Death Do Us Part was released to little or no fanfare and the shenanigans of one Glen Benton haven’t done the band any favours either. To Hell With God is coming on February 15th. Will it be a “return to form”? We’ll just to wait and see. By far one of the most anticipated projects of the year is the long awaited collaboration between Steven Wilson and Mikael Åkerfeldt. Under the working title of Storm Corrosion, the two have begun working on material and alluded to the possibility of this new music surfacing in 2011. In fact, both men will be ludicrously busy in the new year. Wilson’s Blackfield (a collaboration with Israeli musician Aviv Geffen) will release a new album in April. Furthermore he has made mention of a second solo album, the follow up to Insurgentes. Opeth will be beginning work on a new album in January, which also has Wilson mixing. A Storm Of Light will begin work on their next record with the working title As The Valley Of Death Becomes Us, Our Silver Memories Fade. A May release is scheduled with more special guest collaborators lined up. Dream Theater’s return will be a more than interesting one. The band have confirmed that they have acquired a new drummer, announcing a name soon, and will begin recording next month. There are other huge releases scheduled including that of Rush, who released two new songs this year, and Devin Townsend who, under his Devin Townsend Project pseudonym, will be releasing the final two albums, Ghost and Deconstructed in his four record concept. With the departure of Tymon Kruidenier and Robin Zielhorst earlier this month and an album promised for summer ’11, interesting times lie ahead for Cynic in following up 2008’s breathtaking Traced In Air. The Re-Traced EP, released back in May, saw Cynic meander into some new territories, how that will impact the new record is anyone’s guess. Portugal’s Löbo are still working on their first full length. 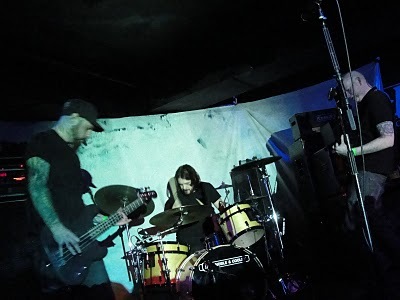 The demo Dânaca and the Alma EP were both stunning exercises in ambient and experimental doom. Plus, the new track ‘Nöite’, released earlier this year was another beautiful taster. There are plenty of other bands who over 2010 and 2009 released some stunning EPs/demos and have full lengths or other efforts lined up. Ones to keep an eye out for next year are Australia’s Sleepmakeswaves and Ne Oblivisicaris. Also, Cork’s People Of The Monolith, Danish maniacs Scarred By Beauty and rising British prog outfit Tesseract.